It’s do-over time for the proposal to allow para aramid in the construction of tillers. Yes, you voted for this in 2014 but that vote was conducted incorrectly because it was only sent to ballot in North America and not Europe. This violated the Specifications Management Agreement. Thank you for your patience. 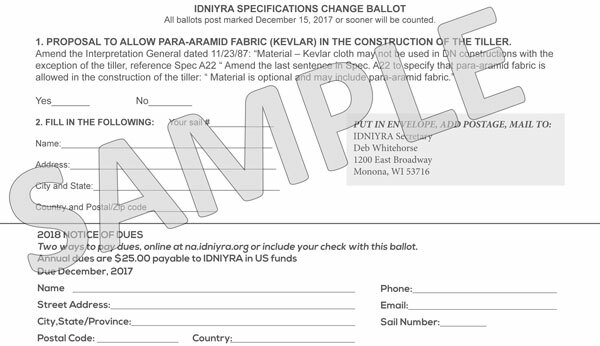 NOTICE OF DUES: You can also pay your dues for the 2018 season either online (click here) or by dropping a check into the envelope with the ballot.